It’s been quiet here on the blog, but we’ve been busy behind the scenes. In 2014, we revamped our data management procedures and structures. Season 7 — the one you finished classifying most recently — was the first where images and metadata were fully pre-processed and vetted before being sent to the Zooniverse. This pre-processing makes things much easier on us after we get all your classifications back from Zooniverse. But it does add some lead time. Season 8 is the first good news. We’ve been pre-processing all December, finding weirdnesses like 84 images in a row all with the same timestamp, miscellaneous video files, timestamps from the future, and so forth. We are just about to start sending the images to Zooniverse, a processes which takes a few days. You should see Season 8 up within a couple weeks. We’ve also tweaked the interface a tiny bit. More on that soon. The bad news is bad. After waiting since August for a reply from the National Science Foundation about our most recent grant proposal, we finally got it at the very end of December: declined. That means that we are again scrambling to find funds to keep the cameras rolling for 2015. And this time without much warning. Season 8 is the first half of 2014 and Season 9 is the second half of 2014. Those are already in the bag. The cameras are rolling right now, and so there will be at least something of a Season 10. Worst case scenario is that we have to shut everything down for a while until we get more funding. But Craig is working hard to find interim funds. 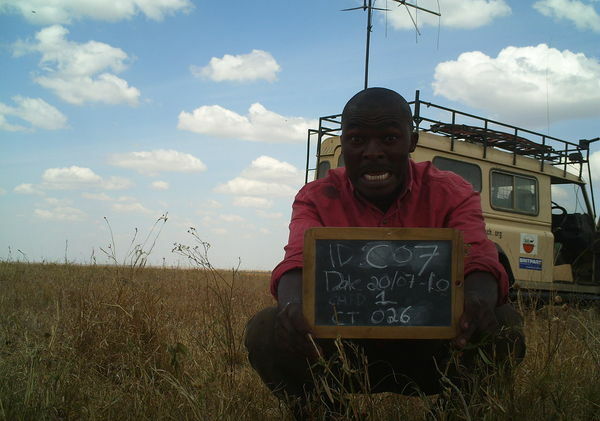 The other good news is that we’ve been talking with some other Serengeti researchers who have set up a small camera trap survey in the western part of the ecosystem. 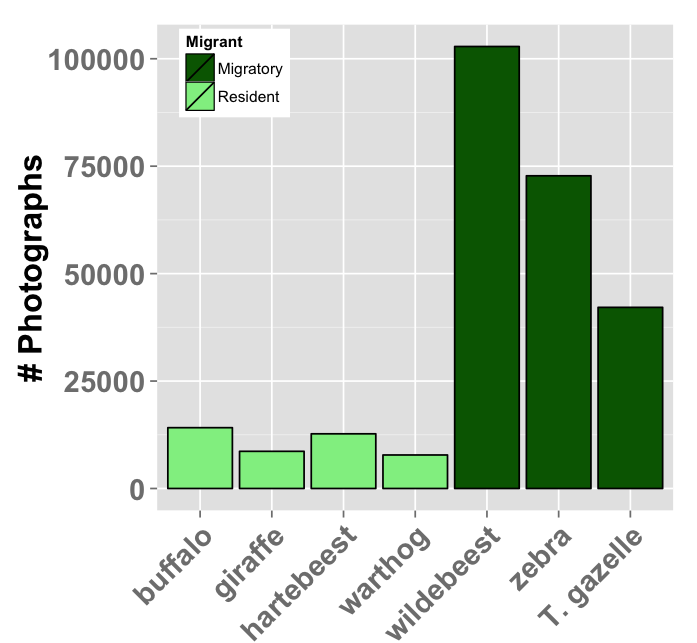 They have tons of images and we’re talking with them about putting their images up on Snapshot Serengeti for classification. These images would be of new locations in the Serengeti and potentially a few new animal species. Could be a lot of fun. 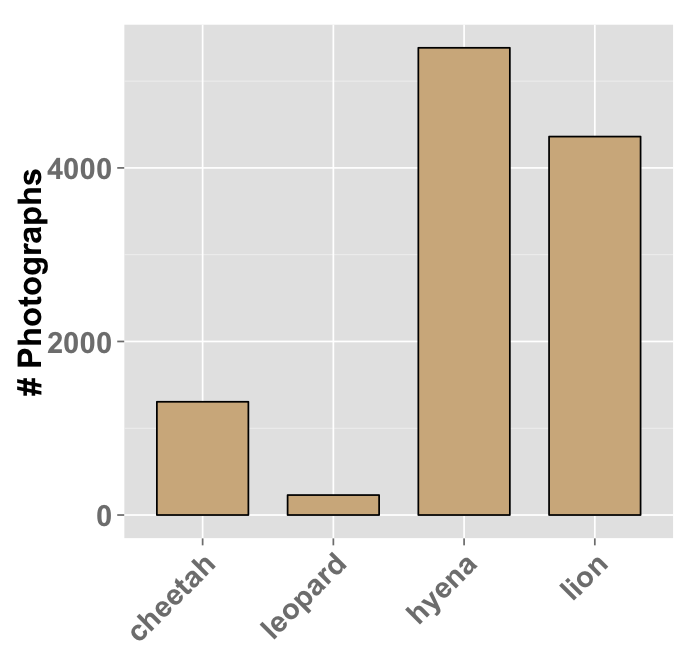 So even if there’s a pause in our image collection, hopefully we’ll have these other images to classify from the Serengeti that will be useful for ecological research. 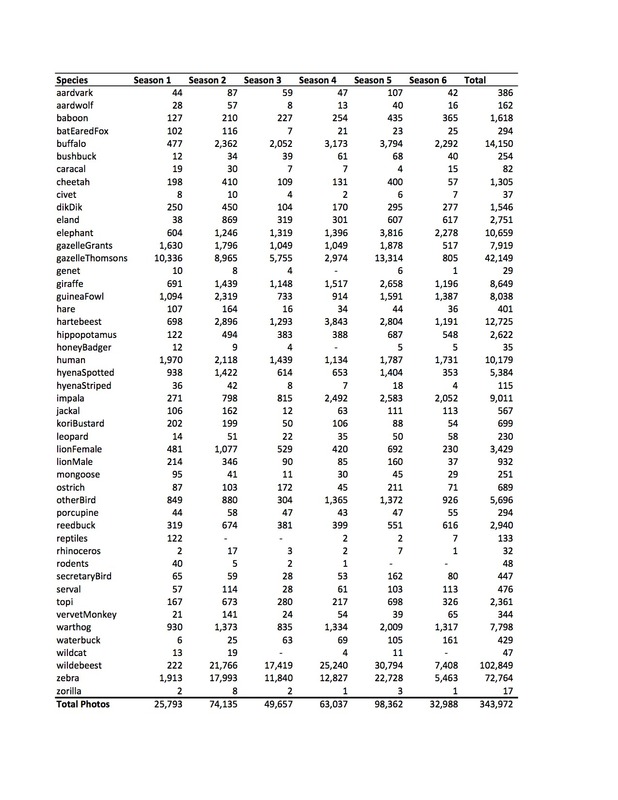 Interesting finds from Season 7! Season 7 is up and running, and we’re already running into some interesting critters! 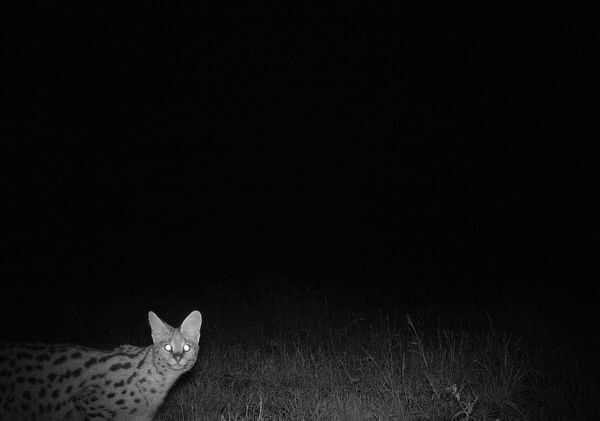 According to our field assistant, Daniel, the serval population is booming in the Serengeti at the moment. Perhaps with so many animals, it’s not entirely unexpected to find one or two odd cases like this. 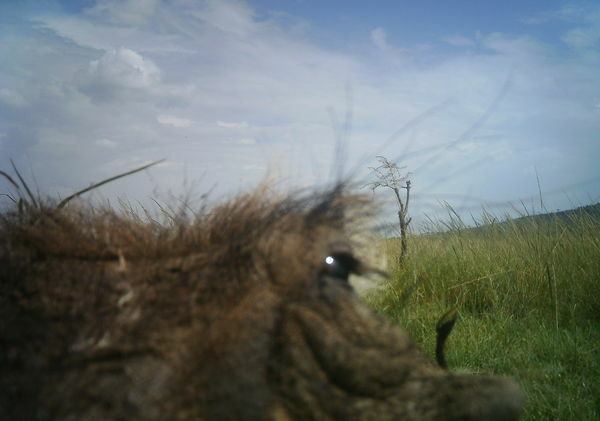 Let’s see what other interesting finds pop up in the latest season of Snapshot Serengeti! It’s been a long time coming, but it’s really and truly here. First, we have to reiterate that Season 7 would never have been possible without your help. Last summer, our long-term National Science Foundation funding ran out and we were facing a gap in funding that could have closed down the camera survey forever. We launched the Save Snapshot Serengeti campaign to make sure that Season 7 happened — and because of your support, it did. Thank you, again, for making this project possible in so many ways. And now! The hard won photos of Season 7 are here. 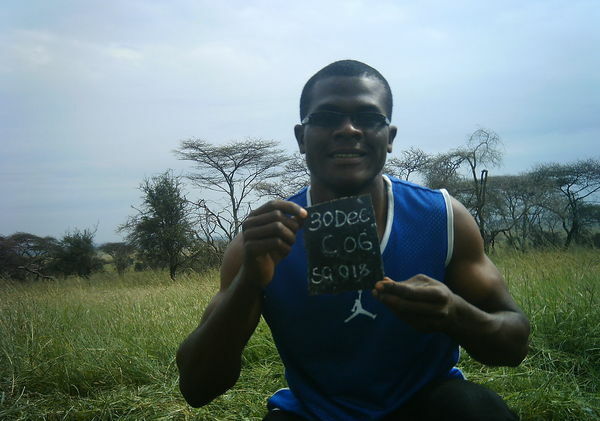 began a master’s program in Dar es Salaam, and Norbert took over checking the cameras in his place. Back in Minnesota, Margaret defended her dissertation and began a new post doc at Harvard working with the Phenocam project. I’ve been frantically analyzing data from Seasons 1-6 to finish my dissertation. 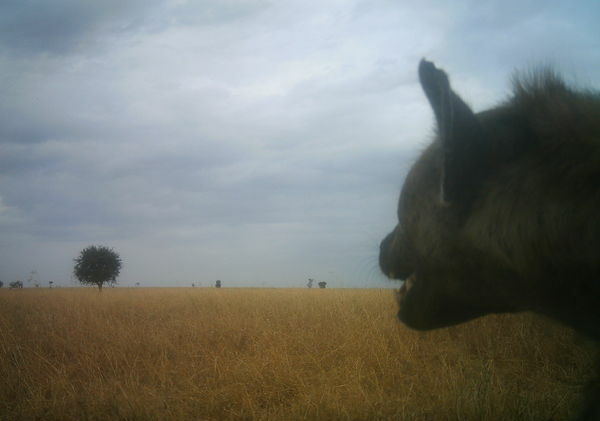 And Meredith became the newest member of the Snapshot Serengeti team. So, stop whatever you’re doing for a few minutes and go check out Season 7. Because really, whose day *isn’t* brightened by photos like this?